When Apple launched the original App Store with the slogan, “There’s an App for That” it seemed perfect because there were so many apps to chose from. Well that was 2008, now there are literally over 2 million apps in the IOS App Store as well as in the Google Play Store. And there are thousands to choose from that are tailored just for the real estate industry. This can be pretty overwhelming, not know where to start, which ones to use, which are a waste of time, etc. Well the RETI Team is here to help with our breakdown of the Best Apps for Real Estate!!! FastCustomer (FREE on both IOS and Android) – Do you hate waiting on hold to get through to a customer service or billing rep through a company’s toll free number. Well then you are going to love FastCustomer as it literally dials the number and works it’s way through the list and will call you back when you are the first in line. How awesome is that! 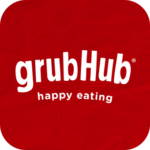 GrubHub (FREE on both IOS and Android) – Are you hungry but don’t want to go out or drive to go pick up take-out. No worries cause GrubHub will deliver food to you from many restaurants in your local area. Pretty sweet indeed! TripIt (FREE on both IOS and Android) If you are a traveler, TripIt is awesome as it builds travel itineraries for you easily just by forwarding email receipts (or manually entering) of your flights, hotels, rental cars, activities, etc. If you opt for the paid Pro account it can automatically scan your email accounts for these items, notify you of any changes, track your member points and much more! Uber (FREE on both IOS and Android) – The reason Uber has completely disrupted the taxi industry is they streamlined the process and made it so quick and easy to get a ride (typically at much lower prices) and at the same time improved the safety and user experience. Bottomline is if you need a ride, Uber is awesome! Waze (FREE on both IOS and Android) – If a gps and a social media network had a baby, it would be called Waze, as it is like a gps on steroids. Due to users of Waze sharing information real-time you not only get extremely accurate voice turn-by-turn directions, but also alerts if there is a police car up ahead, debris on the road and much more. Wikipedia (FREE on both IOS and Android) – Want to look up or know about anything while on the go or on your mobile device. Then you should add the Wikipedia app which has so much information about just about anything on earth its amazing. 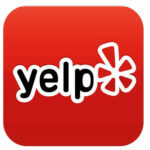 Yelp (FREE on both IOS and Android) – Yelp is the biggest customer review driven business directory there is. So if you need to figure out where to eat, a vendor to hire or recommend, etc. Yelp is fantastic. It is also a great resource to give any of your out of area customers or relacting buyers to help them get acquainted to the local area.